Therefore, the skills involved in this profession can be identified, learned, reinforced and improved. To become successful and stay competitive, sales professionals must utilize the right approach at the right time with the right customer and present the right product. In the present competitive environment nobody sells alone. Understanding how to utilize internal company resources and various teams to achieve desired results certainly must be considered a significant priority in the overall generation of revenue and profits. Additionally, each selling organization has unique training requirements and needs that cannot be satisfied in total by standardized shelf courses. To generate maximum sales in a competitive marketplace, we offer a customized approach to sales skills that begins where sales professionals need assistance, builds on strengths, always reinforces previous training, establishes habits of successful selling and generates more business again and again. Sales training becomes a process not a series of discontinuous events. Our team members are seasoned sales experts who have worked with a wide range of organizations – from start-ups to Fortune 10 companies. For us sales is far more than a profession, it’s a passion that we’re driven to share with others. We bring our real-life experience to your sales challenges with a commitment to find the solutions that truly work. Develops and presents training programs that totally reflect the specific industry, organization, and culture of the client. Provides lifetime reinforcement of skills in every training environment. Creates the ideal match of task orientation and behavior profiles in each client's organization. Builds a clear link between knowledge and skills. Utilizes real experiences as living case studies to assure repetition of success and avoidance of failure. Delivers advice that is direct, clear, complete, and concise, but may not always be what the client wants to hear. Assists in implementation and execution of the programs we espouse; willingness to shoulder part of the responsibility for the effectiveness of the agreed plan. Provides leadership and management of external and internal resources as appropriate. Scott Olsen brings a combination of accomplishment and understanding of business matched with success in training individuals and groups. Scott has developed innovative training methods throughout his career that produce dramatic increases in productivity and customer satisfaction. 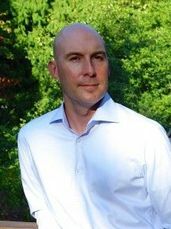 With a combination of skills and knowledge, Scott successfully advances management, leadership, sales and interpersonal skills. He tailors each session to the particular needs of the group in which he is involved. Scott is located in Portland, Oregon. Gary Brashear brings over 28 years of successful leadership predicated on hiring and motivating highly productive, results oriented sales, marketing and services teams. 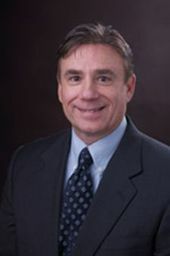 His successful career in high technology includes VP of Sales at WebTrends Corp., Performant Inc. and VP of Sales and Marketing at BlueVolt, Auctionpay, and Centrisoft Corp.
Gary’s initiation into sales and marketing was with 15 years at Tektronix in a variety of technical, sales and marketing management positions. His roles have been both North American and Global in responsibility. Gary is located in Portland, Oregon. Keith has 30 years of experience as CEO in a range of technology companies. He has a proven track record in turning new product ideas into viable companies that can sustain ongoing revenues and profits. Much of the success in those transformations has centered around refining go to market strategies and realigning companies internal processes and teams to match that strategy. As part of that experience he has hired and managed sales teams in a broad range of sales cycles, channels, geographies and sales management structures. In addition, he has extensive experience in raising capital from angel, venture and private equity sources, hiring management teams and moving organizations from early stage to mid stage. After running companies in the San Francisco Bay Area he moved to Lake Oswego, Or in 2015. He has also lived in Europe and established remote offices and sales organizations in Europe and Asia. He certified to deliver Miller Heiman and Level 5 selling programs.